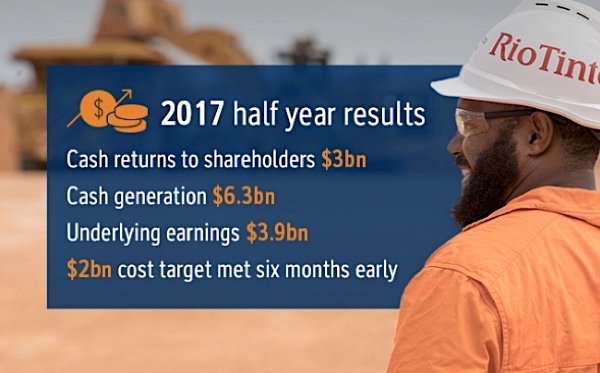 Rio Tinto (ASX, LON:RIO), the world’s second largest miner, gave its shareholders an early Christmas present Wednesday as it declared its biggest interim dividend in the company’s 144-year history, thanks to climbing commodity prices that made first-half profit jump an impressive 93%. The London-based miner’s performance is a clear reflection of a reversal of fortunes in the mining industry, as companies big and small are now benefiting from a recovery in prices of commodities including iron ore, which is Rio’s key commodity, as well as aluminum and even coal. Fickling's comments are based on the fact that the company’s shareholders receive dividends based on a policy set up in February 2016, which ensures between 40% and 60% of underlying earnings are paid out to investors as a dividend every six months. The old approach saw them receive guaranteed dividend payments, but Rio had to re-evaluate it to better reflect volatile commodity cycles, such as the one that took the whole industry down in 2015. 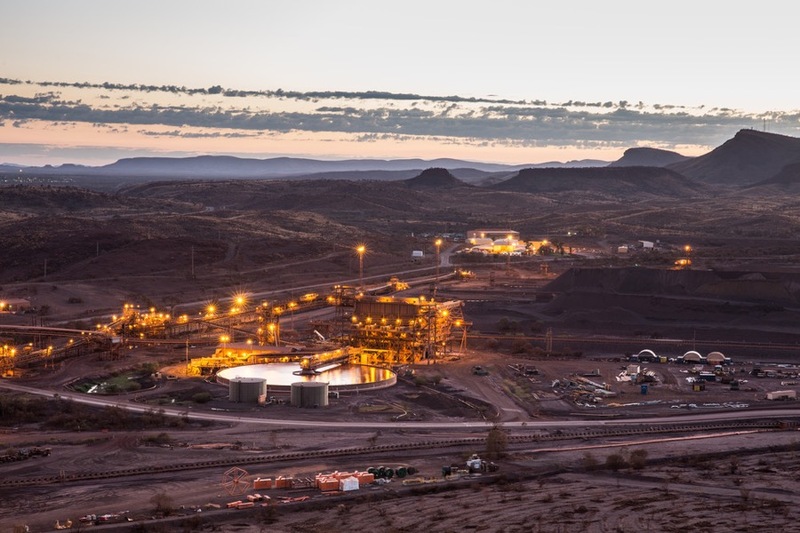 The company’s iron ore division contributed 80% of Rio Tinto’s underlying earnings. The miner, the world's second largest producer of the commodity, generated almost 130 million tonnes of the steelmaking ingredient during and received an average price of $67.80 a tonne in the period, 26% more than just a year ago.